Get the feeling something’s gone wrong with our societies? Let’s figure out how to do it better. Join us for our launch event on April 15, for an introductory workshop followed by fun and gezelligheid. Send us an email if you’d like to come along. Hope to see you there! 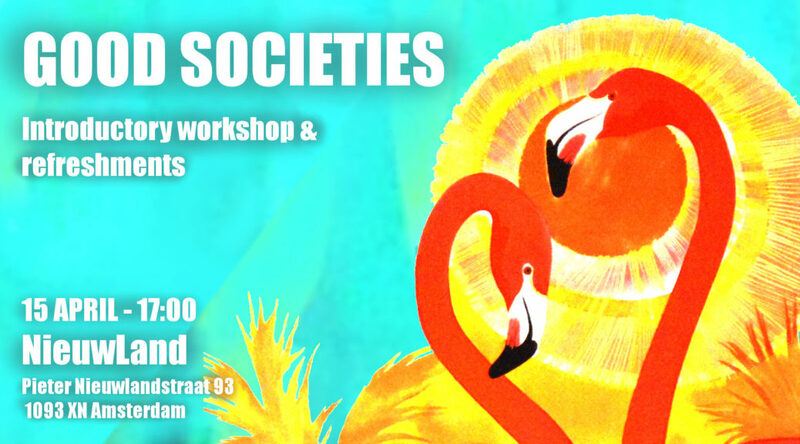 17:45 – small group work: what does a good society look like to you? 18:30 – small group work: what would you like from the project?